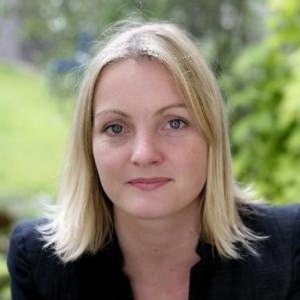 Gemma joined Change.org in January 2016, assuming responsibility for the company’s General Management globally. She was previously Executive Director of Crisis Action, having joined as the second member of staff in 2006, and led the organization to receive the 2012 MacArthur Award for Creative and Effective Institutions and the 2013 Skoll Award for Social Entrepreneurship. In 2011, the World Economic Forum selected her as one of their Young Global Leaders. CNN named her as one of their inspirational women for 2014 and she became a Yale World Fellow in 2015. She previously worked for the Permanent Mission of the United Kingdom to the United Nations in New York, the European Commission and as a journalist. Summary: Gemma’s answer to the five questions! Listen to the full conversation on the player above; also available on iTunes and Stitcher. If thinking about defining hope, it’s that funny sensation of a desire and expectation for something. If I think about what hope stands for, it’s far more than that. It’s a desire to really make a choice, to believe that things can be better, that people can be good, that hope is not a useless act. Hope in itself is something that can positively channel whether it’s a desire for one’s self or one’s community to make things better. Even the act of hope is an important one. Through being hopeful, you are opening up positive opportunities in the future that may not otherwise be there. One is the story of Jo Cox. In the wake of Jo’s death, it could have been easy for everybody to become despondent about the reason that she died. Instead what erupted was an unbelievably hopeful and positive reaction led by the enormous dignity of her husband Brendan who managed to say that the most important thing that Jo would have wanted would be to fight the hatred that killed her. What came through was hundreds and hundreds of messages of people who said that they wanted to choose love over hate. That as an experience to see how many people would stand up for the goodness in humanity was deeply inspiring to me. I’m very fortunate to work in a company from which people spread and initiate stories of hope on a daily basis. Every time I connect to one of those stories, it’s like a life source. If you live a life in which you’ve had to make bold choices, if you’re prepared to throw yourself to the wind of hope in many ways and do the right thing, then it’s very important that you believe that the values in which you live your life and the principles that you hold dear to your heart are going to be the ones that prevail in the end. That is not an objective, rational decision often. That has to be based on a core belief that if you give the right thing to the world, then you will be a very lucky recipient to wonderful people doing wonderful things in return. I’m a deeply, hopeful, optimistic person but I think the road of good intentions is a long one and it’s not enough just to be hopeful. I’ve been lucky enough to work with some of the best and I think what they possess is the ability to see the black and white colors of harsh reality and to imagine from that a viable and realistic path to a more hopeful place because willing things into being isn’t enough. I think you have to have a combination of the imagination and the aspiration and the genuine commitment to a better world full of good people doing good things but though it may be hope that holds you aloft and guides you forward, that has to be matched with a real rigor about looking seriously at what it takes to make a change because it’s not an easy road and it takes many people working together. I think it’s very important to give people the space and license to hope. What I mean by that is a number of things. Dreaming without design is hope that’s useless, but being able to imagine, understand a better future whether that’s your kid doing better at school or your relationship being better or what you’re achieving through work being better is a very profoundly important thing. I think it takes support. It takes people helping each other to remain hopeful to keep casting their eyes to that which is positive and that which is exciting and pleasurable about the future. What I try to do is create a context in which being hopeful is a daily part of life and is something that is celebrated and something that is really cherished. I see that very much with kids. Just fostering within them that innocent hopefulness about the way that they’re seeing the world and that sense of enormous possibility. At work, just really giving people a belief in themselves. I think if you have belief in yourself and in your own potential, you are far more likely to not only be hopeful and positive and create good things yourself, but you are far more likely to spread that to others. It needs to become contagious. I think if we get to a place where we’re supporting each other to adopt that mindset as a predisposition, then you have a situation in which you have a really wonderful virtual circle in which people can support each other to be their best selves but also to create the best that they can for others. (1) You can change people’s emotional state by sharing with people the things that you think are hopeful. (2) Find your own agency. You will know what matters most to you and your life and it will be very different for many people and that’s okay because out there in the world will be other people who feel exactly as you do and care about the things exactly as you do.